At the beginning of the week, I didn’t look forward to returning to my apartment. It was empty and quiet, it didn’t feel like mine, and I missed my home. Living by myself is not something that appeals to me, so even just a temporary few days was hard. Slowly over the week I got more comfortable, especially knowing that my roommates were coming soon and my parents would be back with the rest of my stuff. Your living situation can affect your mood. If you come home to a place with bare walls, a dirty floor, dark lighting or no reminders of home then you can become sad and detached. Oppositely, a room that fills you with energy, reflects your personality and has a homey-quality with the addition of some personal accents can brighten your mood and make you feel more comfortable. Third time around, we are professional at the whole moving-in process, and my room was set up pretty smoothly. Thanks to rubber-maid bins, 3M tape and command hooks :) Yesterday the student-athletes of our school worked 4-hour shifts at the freshman residence halls to unload cars and help any first-timer parents figure out how on-campus living works. Adding to the chaos was some on-and-off rain. Thanks Mama Nature! 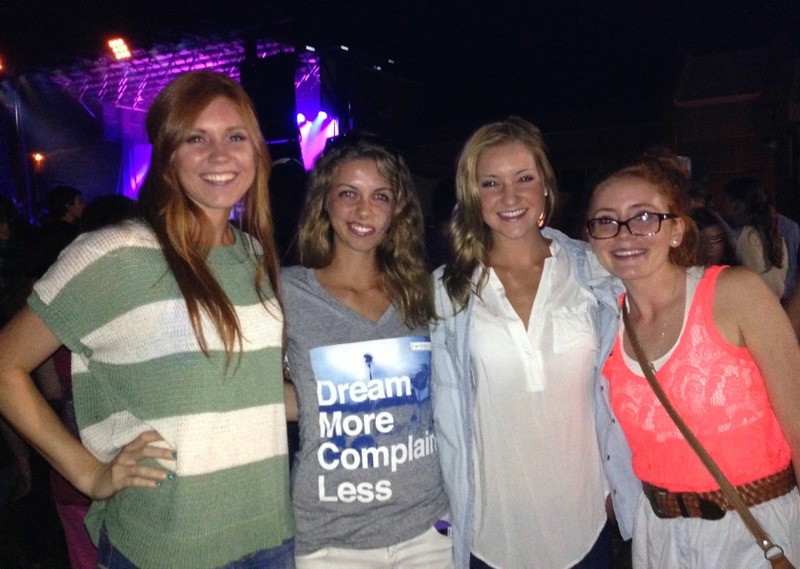 After the madness of Freshman Move In Day my teammates and I got together to cook dinner and check out the Welcome Back concert on one of the grassy lawns on campus. I really only cared about seeing The Maine. 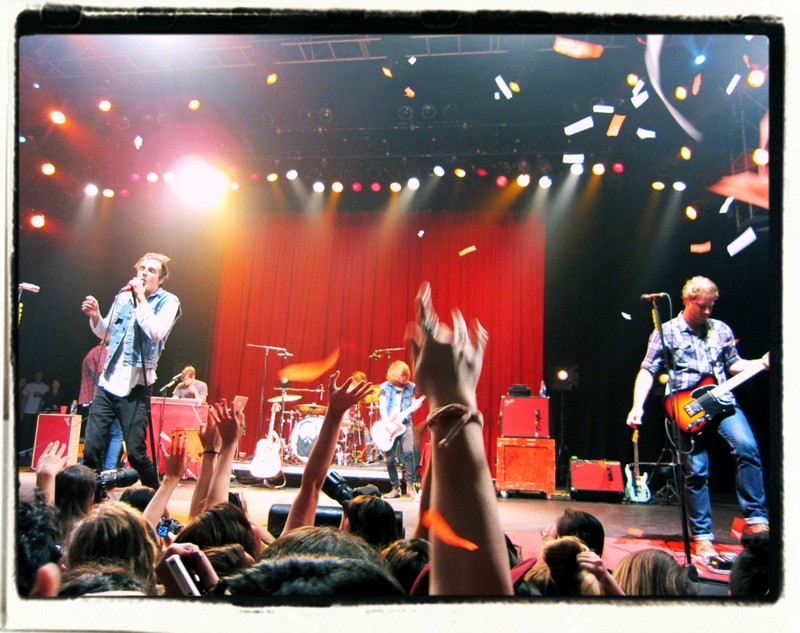 I’ve seen them three times now…once in 2009 when they opened for Cobra Starship and Boys Like Girls. Then again last summer at a show they headlined in SoCal. Fun fact! The singer John’s little brother moved into our school yesterday! It’s currently raining, has been since I woke up. I love it. We run rain or shine, so at 7am I threw on my white running hat and embraced the weather for our team long run. We headed out on some trails for a 12-miler, jumping over plenty of puddles until our shoes were so drenched we just ran through them. Posted on August 25, 2013, in College, Healthy Habits, Real Life Stuff and tagged apartment, athlete, college, Dorm, fitness, happy, health, running. Bookmark the permalink. 4 Comments. OMG! 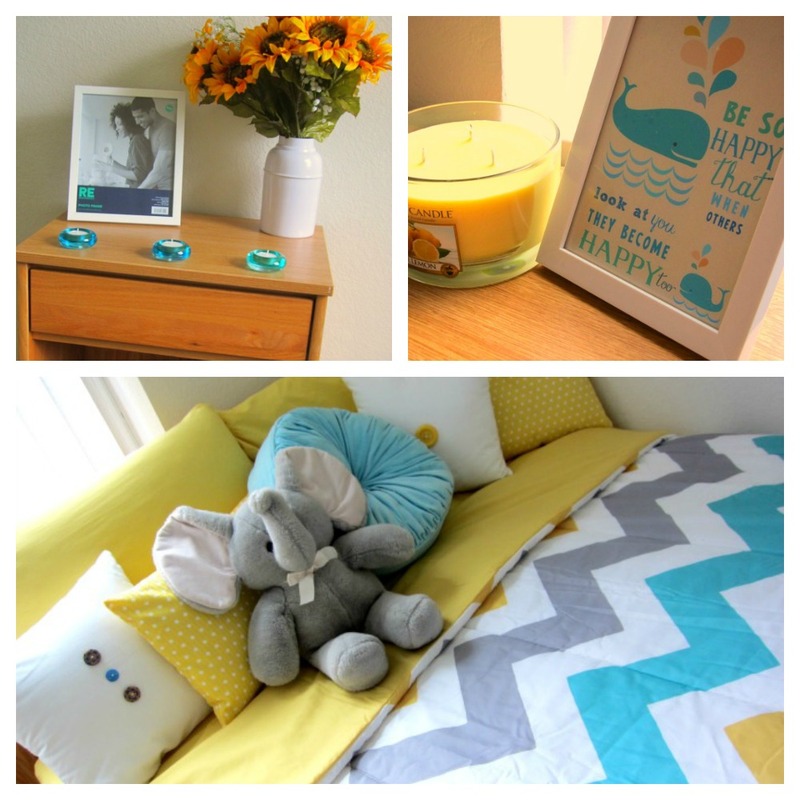 I love the colors of your room! Look sooo cute! See your back to school. Sure like your room colors this year.